When an alcoholic beverage is consumed it passes down the esophagus through the stomach and into the small intestine. Although a small amount of alcohol is absorbed into the bloodstream through the mucous membrane, that vast majority of alcohol enters the bloodstream through the walls of the small intestine. Alcohol is water soluble and the bloodstream rapidly transports the ethanol throughout the body where it is absorbed into the body tissues in proportion to their water content. Ethanol is greatly diluted by the body fluids. For example, a 1-ounce shot of 80-proof whiskey, which contains 0.4 fluid ounces of ethanol will be diluted in a 150-pound human, producing somewhere in the neighborhood of an 0.02% blood alcohol concentration. With a user that is smaller with say one half of the water weight in his or her body than the individual in the prior example, that same 0.4 fluid ounce of ethanol would likely produce an alcohol concentration at or near 0.04%. Metabolism is the body’s process of converting ingested substances to other compounds. Metabolism involves a number of processes, one of which is referred to as oxidation. Through oxidation in the liver, alcohol is detoxified and removed from the blood, preventing the alcohol from accumulating and destroying cells and organs. A minute amount of alcohol escapes metabolism and is excreted unchanged in the breath, in the sweat and in urine. Until all the alcohol consumed has been metabolized, it is distributed throughout the body, affecting the brain and other tissues. The liver can metabolize only a certain amount of alcohol per hour, regardless of the amount that has been consumed. The rate of alcohol metabolism depends, in part, on the amount of metabolizing enzymes in the liver, which varies among individuals and. In general, after the consumption of one standard drink, the amount of alcohol in the drinker’s blood peaks within 30 to 45 minutes. (A standard drink is defined as 12 ounces of beer, 6 ounces of wine, or 1.5 ounces of 80-proof distilled spirits, all of which contain the same amount of alcohol.) Alcohol is metabolized more slowly than it is absorbed. Since the metabolism of alcohol is slow, consumption needs to be controlled to prevent accumulation in the body and intoxication. A number of factors influence the absorption process, including the presence of food and the type of food in the gastrointestinal tract when alcohol is consumed. The rate at which alcohol is absorbed depends on how quickly the stomach empties its contents into the intestine. The higher the dietary fat content, the more time this emptying will require and the longer the process of absorption will take. One study found that subjects who drank alcohol after a meal that included fat, protein, and carbohydrates absorbed the alcohol about three times more slowly than when they consumed alcohol on an empty stomach. Women absorb and metabolize alcohol differently from men. They have higher Blood Alcohol Concentration’s (BAC) after consuming the same amount of alcohol as men and are more susceptible to alcoholic liver disease, heart muscle damage, and brain damage. The difference in BAC’s between women and men has been attributed to women’s smaller amount of body water, likened to dropping the same amount of alcohol into a smaller pail of water. An additional factor contributing to the difference in BAC’s may be that women have lower activity of the alcohol metabolizing enzyme ADH in the stomach, causing a larger proportion of the ingested alcohol to reach the blood. The combination of these factors may render women more vulnerable than men to alcohol-induced liver and heart damage. If the amount of ethanol consumed is not great, the oxidization of the alcohol can keep up with the rate that the ethanol is entering the bloodstream and the alcohol concentration will not increase,. (The ethanol disposal rate in a 150-pound human is about 0.5 ounce of ethanol per hour, which corresponds to 12 ounces of beer, 6 ounces of wine, or 1.5 ounce of hard liquor.) If however , the alcohol intake is greater than the rate at which the user is able to metabolize it, the blood and breath alcohol concentration of that individual will increase. Ethanol is volatile and as a result, an amount of alcohol, in proportion to the concentration in the blood, transfers from the blood into the alveolar air sacs in the lungs. This occurs in much the same way that carbon dioxide leaves the alveolar blood and enters the lungs for exhalation from the body. As a result, it is possible to analyze an alveolar breath sample, determine the breath alcohol concentration (BrAC) and predict with a high degree of accuracy, the blood alcohol concentration at that same point in time. Ethanol acts as a drug affecting the central nervous system. Its behavioral effects are a result of its influence on the response in the nervous tissue and not on the muscles or senses themselves. Alcohol is a depressant, and depending on dose, can be a mild tranquilizer or a general anesthetic. It suppresses certain brain functions. At very low doses, it can appear to be a stimulant by suppressing certain inhibitory brain functions. However, as concentration increases, further suppression of nervous tissue functions produce the classic symptoms of intoxication: slurred speech, unsteady gate, disturbed sensory perceptions, and inability to react quickly. At high concentrations, ethanol produces general anesthesia; a highly intoxicated person will be in a coma-like state and very difficult to wake. In extreme cases, if the alcohol concentration is high enough, it will inhibit basic involuntary bodily functions such as breathing and can cause death. 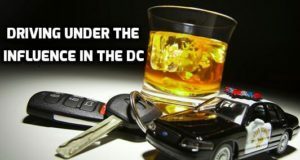 For more information from Bruckheim & Patel regarding drunk driving, please check out the links below, or contact us directly!